E3 is but a week away, and leaks are coming from every direction. Usually, however, they don't come directly form Nintendo's own servers, as is the case with this report. Dataminer and Pokemon researcher Michael revealed an update for the as-yet unannounced Switch version of Epic's world-beating game has been uploaded to the Switch eShop in a series of tweets. The image above appears to be Fornite's Switch icon, and matches the dimensions typically found in eShop postings. Just last week, Fornite also appeared on the Korean game ratings board, which itself appeared to corroborate a potential E3 leak. As the old saying goes, "where there's smoke, there's fire," and there certainly seems to be a lot of smoke surrounding Fortnite's eventual appearance on the Switch. In fact, with both ratings a patch now existing for the game, we would wager we may see the game release during E3. What do you make of this news? Are you planning to play Fortnite on the go? Let us know with a comment. Maybe I can finally try this game out and see what the fuss is all about. Then again, I could just be disappointed like I was with Minecraft and Stardew Valley. Those games were wildly popular and I just couldn’t get into them. I'm guessing it'll release during the E3 Direct. @thesilverbrick I feel so stupid, because I've tried to get into Minecraft like 4-5 times. Including convincing myself I should buy it again on Switch because having it everywhere would finally be the thing to get me to play it... nope. But Stardew... boy oh boy I loved that one. Anyway, assuming it's free, I'll probably play it a bit. I could use another online multiplayer game in my Switch library for occasional play. Makes sense to release as an "available shortly after the presentation" announcement. Why not!? It's on every other current device. My son and his friends are glued to this game oh man!! I'm looking forward to dominating Switch only players, by that I mean those that haven't played it. Pro tip though, build rather than shoot. Because if you can out fox somebody whilst building you will get easy kills, if you just stand there and shoot you will get killed. That's the same icon as on other platforms as well. It's happening, folks. Either you'll be able to link a Nintendo Account to your Epic account, or you'll just be asked to sign in with your Epic account. There's a page on Nintendo account management for linked services, so the former should be doable. Hopefully they iron out any syncing kinks. One big one is on Sony's end though. Well, seems pretty obvious it's gonna happen right after E3. Very happy to see it for Switch, kinda perfect for it really. It's a good drop in and drop out game. @DarthNocturnal You'd think that, but you can't do that between PS4 and Xbox, the platform you first played it with is th one you have to use. So I'm stuck playing it on PS4 Pro rather than Xbox One X. That's purely on Sony's end. Crossplay (cross everything really) is all there, ready to go between XB1 and PS4. Sony just won't allow it to happen with other consoles. It's almost literally a matter of flipping a switch (no pun intended). Nintendo and Microsoft, on the other hand, seem to be all for full crossplay. I heard that Fortnite players could crossplay between Xbox and PS4 due to Fortnite hosting their own servers? In any case, this is the sequel to Pokemon Quest right? @1UP_MARIO Oh! Is it free?? That changes everything. Might be worth seeing what the fuss is about then. Couldn't get into Fortnite on PS4, but I didn't really give it much of a chance either. Definitely not chomping at the but for it on Switch (especially since it's on my PS4 and probably never touched for more than 30 minutes), but I'll give it another go.... I suppose. Battle Royale is free. Save the World (the PvE mode) currently requires a founders pack, but will be free this year (maybe this month or soon after, if they announce it at E3). Mario needs to do his job and fix all the leaks. Fortnite feels like a "Its releasing now!" kind of announcement. RIP the eShop if that's the case. The list is real, can't wait for F-Zero. It's battle royale, I can't bring myself to care. But more excuses for others to buy a Switch is always welcome. Omg now I’m soooo hyped! Not a game I'm interested in at all, but it's good for the Switch to get a big game like this. I preferred the campaign mode, battle royale mode is meh. I play enough games that I get destroyed online in I don;t need to do it with this one too haha. Oddly enough I am really interested in this game since I tried it on my phone, so I would certainly be interested in getting it if it came to the Switch. Honestly, I should probably stop visiting until E3 to leave at least some things unspoiled. I’m going to play it on switch. Have two xbones and haven’t touched it. @Arnold-Kage At the rate things are going I don't think there's any surprises left. I hope they added gyro support. One thing I can't stand about Fortnite on ps4 is lack thereof. @onex The 3DS, Wii U and especially the Switch have really spoiled me with gyro aiming. I tried playing Horizon a bit a few months back and the lack of gyro for aiming was really throwing me off. You'd figure that's a feature that would be optional in most PS4 games, since the controller is definitely capable of it. oh, and Nintendo exclusive outfits would be neat! Edit: for anybody wondering, i play the Fortnite: Save the World mode. not very much a Battle Royal person. but, i feel like thats not coming after the presentation and it's just the BR mode. @Tank207 ikr? They have gyro capabilities in their controllers, yet it seems they only did that just to say "me too" in response to the Wii U. It's a shame because properly implemented gyro is leaps and bounds above the typical analog setup. Coming to the Switch and Android soon, my kudos are going to be lethal by the end of the summer! Not a grand I'm personally very interested in but ex cited for everyone who is! There is always room for free games on my Switch, and Fortnite is one of the best freemium games out there. The only other ones worth getting on the Switch so far are Zen and Stern pinball. @onex I don't think I've actually seen them get any use out of the DS4 gyro outside of Infamous: Second Son and the Gravity Rush games. It just boggles my mind that they have the tech but don't give us the option to take advantage of it. @Tank207 Gyro steering works pretty nicely in Gran Turismo Sport. @daveh30 "Definitely not chomping at the but for it on Switch"
I hope it includes save the world as well! Its release is extra push for Nintendo's online subscription. A big online focused game with a massive following already to drop on a system that has console quality graphics on a handheld device on the go, heavily popular with kids and has the advantage of not needing to cover the screen with your fingers like mobile devices its a no brainer. fornite for switch probably wont be out till fall time frame after switch online service launches. I could see more people buying into Nintendo's online subscription just to play Fortnite, moreso than Super Smash Bros.
That's how big Fortnite is. I downloaded the PC version to see what the big deal is... I now know why it is free. Hope they have something else. 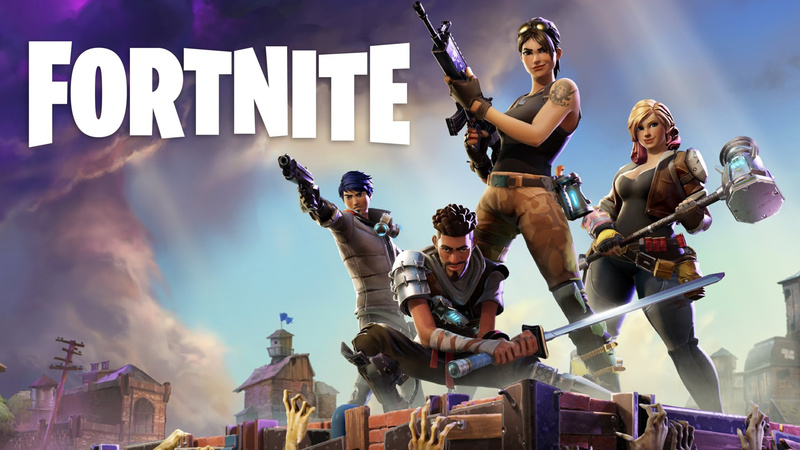 @thesilverbrick Well I loved both Minecraft and Stardew, but I can assure you, Fortnite is a very different game. Either way, I am finally gonna try it out myself too. "Delay Fortnite for a week. Watch internet be wrong and pissy for a week. Laugh about it for a week. Release Fortnite a week late. Print week long internet tear soaked money." @Octane I only just came back online after being offline since September. OK, I'm curious, I feel like their should be alot of comments in this thread about how hackers are bad and this guy hacked Ninteod's servers to figure out Fortnite is coming out next week. And if he did this for this week shoudln't he be abel to figure it out every week? And why are Nintnedo's servers so easily hacked? And why are we believing this guy? Not a single person wrote- " I don't believe you" in the comments. I feel like I'm not even on NL anymore. I may try it to see what all the hub bub is about🤔... if it's real. @Heavyarms55 I’ll definitely be giving it a shot (especially if it’s free-to-play), but my taste in gaming apparently was outside the majority when it came to Minecraft and Stardew Valley. We’ll see. @thesilverbrick What about Rocket League,the 5th highest selling game of all time,to your tastes? I love it but haven't been able to get into Minecraft,the highest selling game of all time, outside of creative mode. I've watched my nephew play Overwatch and Fortnite but I'm not sure if they're for me. Perhaps if I played then myself I will see what all the fuss is about. Looks like I'll be the chance with Fortnite and Paladins is apparently very Overwatch like and coming to Switch. You're not the only one, I've never been able to get into Minecraft or Stardew either. I don't really get the fuss surrounding Fortnite but I'll give it a try. Watch the big surprise turn out to be that Fortnite is coming to Switch, but it costs $30. Switch Tax! Seems like a continuously functional stunt to say "it's out NOW!" during a direct or conference, so I could certainly see that being the intention. But, will it be free-to-play on Switch? Will it have cross-platform play with other consoles? Gyro aiming (or will that kill cross-platform possibility?)? Some factors I think are important for this to be a success on the Switch. I hope this isn't the Switch online-subscription release and they push Smash back to November... Anyway, guess I'll finally try this game and it should be a great punchline for their E3 presentation, especially if it is available "right now"! Guess I'm one of the few people left in the universe who isn't interested in this game. @thesilverbrick it took me a while to click with Minecraft but when I did....loads of fun. Stardew valley , yup, i ageee, just couldn’t get into it. Fortnite hype and excitement has my attention and I’d love to have a crack at it but, yeah, crowd wisdom isn’t always right is it? The people in my school talk about Fortnite every day, so it will be interesting to see what all the fuss is about. Wired: Announcing new games by pushing an update for them to the eShop. More like dodgy internet hack who wants to be online famous - reveals games!!! Would be a nice addition, specially with a top quality that is free to play (will it be? ), but no crazy about it. @OorWullie I actually do enjoy Rocket League, but only when I’m playing with friends online. I’m garbage at it, but I still play from them to time.